Visual Studio has the open tools and the flexibility you need to create and deploy modern web applications. Create and deploy your applications with confidence using Visual Studio’s Container development tools. Build Docker images containing all your application’s dependencies making it easy to run applications on a wide range of services in Azure or other container hosts. 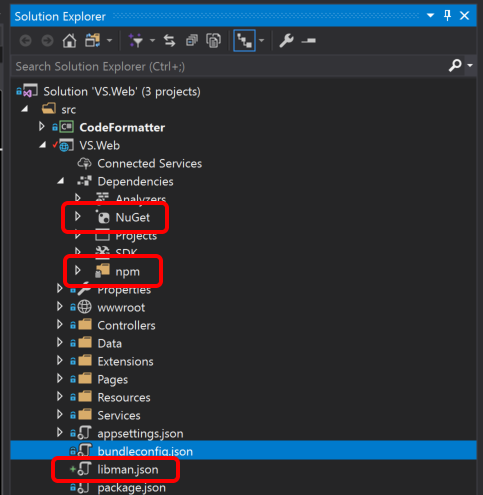 Write your web applications and services with ASP.NET Core using Visual Studio. Deploy to any web server, or graduate to cloud scale in Microsoft Azure. If you like, code in your editor and OS of choice with omnisharp.net. Found a bug or got a new idea? Open an issue or send a pull request. All of the ASP.NET and .NET Core CLR runtime components and the Azure SDKs for any language are available on GitHub and taking contributions. Get involved today! Join the Open Web and pull in libraries from all over. NuGet offers rich .NET server-side libraries, Library Manager (LibMan) the lightweight client-side library acquisition tool allows you to get just the files that you need from popular framework and library packages, and npm pulls in great tools and utilities. 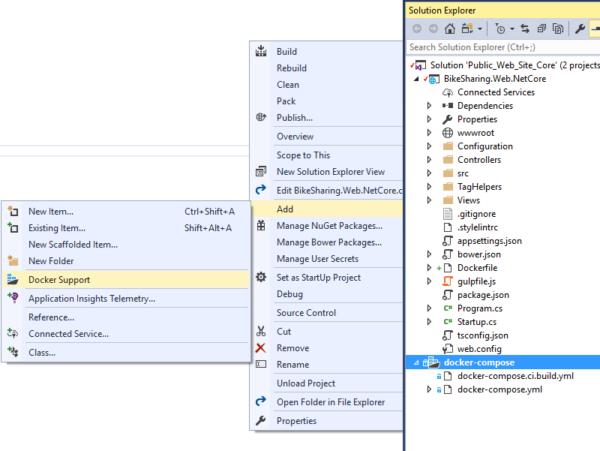 Extend Visual Studio, explore our community, and make it your own! Customize Visual Studio by leveraging the thousands of extensions available from the constantly growing ecosystem or even build your own. Visual Studio includes integrated tools to deploy your web application to any host or scale to the Microsoft Azure cloud. Publish and manage your websites and virtual machines from within Visual Studio. 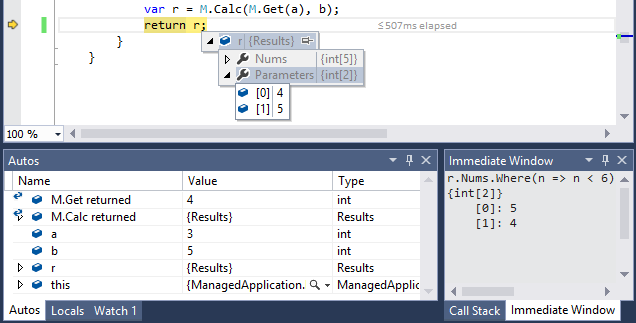 Write, edit, explore, debug, test, and deploy code in Visual Studio. Manage your source, track your bugs and work items in Azure DevOps or Team Foundation Server (TFS). Work with the Git repo of your choice, including those in GitHub. Get unprecedented insight into your code with CodeLens, putting everything you need to know into a single line.